Ms. Miller received her Bachelor of Science degree in Ethnic Studies from the University of Oregon. After college she worked as a PA and eventually a director for ABC news. Subsequently she worked for the Warm Springs Tribe’s Children’s Protective Services, and then went on to work for the Confederated Tribes of Umatilla at Cay Uma Wa Head Start. Her volunteer activities include Girl Scouts, Warm Springs Little League, and Big Brothers Big Sisters. Born and raised in Warm Springs and graduating from Madras High School she participated in many different clubs and activities and became a traditional dancer. She learned a lot by being involved and by spending time with her peers in different settings and is thankful for the adults who made youth activities a priority. What made her experience in these activities so wonderful were the people. 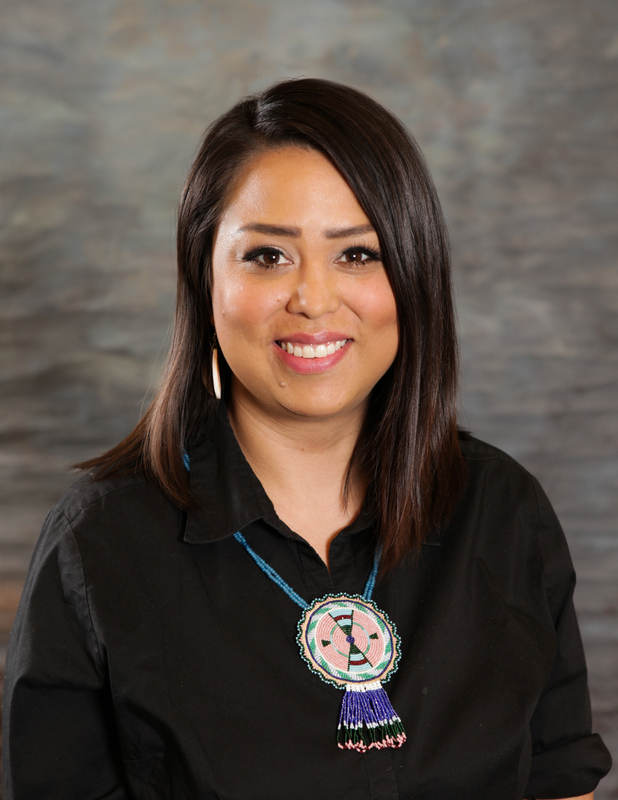 Ms. Miller is a member of the Confederated Tribes of Warm Springs and her bloodline comes from Warm Springs, Wasco and Yakima. She is a young, progressive thinker who believes in respect, hard work and caring about each other. She has not yet received her Indian name. Her parents are Ken “Kenman” Miller and Sue Matters. On her father’s side, her grandmother was atwai Faye Waheneka and her grandfather was atwai Sidney Miller, and her great grandparents were Fannie Waheneka, Grant Waheneka. On her mother’s side her grandparents were Lucy and Walter Miller and her great grandparents were Walter and Eleanor Matters. Councilwoman Miller has lobbied for the Oregon Student Association and the United States Student Association in Salem and Washington D.C. giving her insight into policy and advocacy work in government to government relations. Her time serving on the University of Oregon Students Senate taught her how official meetings are conducted using Roberts Rules of Order. Ms. Miller’s Senate work also sharpened her skills for heated debates and conversation without losing respect for others while also maintaining good working relationships. As a U of O Student Senator Ms. Miller also learned how to administer budgets and track expenditures. Ms. Miller is motivated by the time she has spent working with families. Their needs give her the heart she needs to stay strong for families and their children. She sees that it is a must to better understand the past and its impact on the tribal people as a whole. Then collectively, as a people, we need to begin to heal together as an entire community. Ms. Miller was elected in 2016 as an Agency District Tribal Council representative.